Black color for office equipment gives a sense of professionalism in the delivery of services. This is an all in one printer that can print, copy, scan, and even fax. If you have information on a cloud then you do not need a computer to access it, just use either the Ethernet or the wireless connectivity inbuilt in the system to complete the output operations. 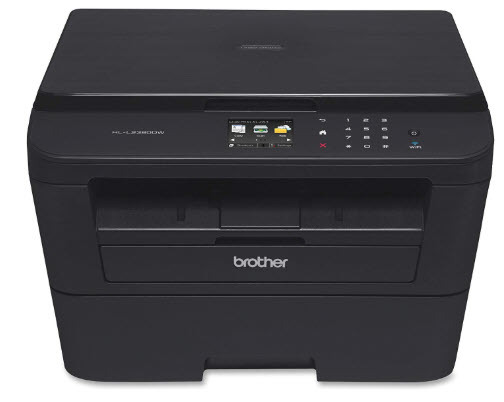 This office equipment runs on a print speed of 2400 by 600 dpi and one unique feature of the document is the high-quality soft copy documents it produces. 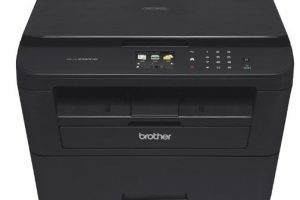 It runs on a laser-powered technology renowned for fast and high-performance printouts. In addition, the machine supports mobile orienting functions from various cloud service applications that include Evernote, Dropbox, Google drive among others. The almost 3-inch touch screen is a plus to act as a monitor hence allowing navigation through the functions easy and fast. The USB ports not only support the transfer of files but also act as a connecting point to handle web printing processes. It is an ideal tool for home and small office output operations. Brother HL-L2380DW Laser Printer Driver is licensed as freeware for PC or laptop with Windows 32 bit and 64 bit operating system. It is in printers category and is available to all software users as a free download.